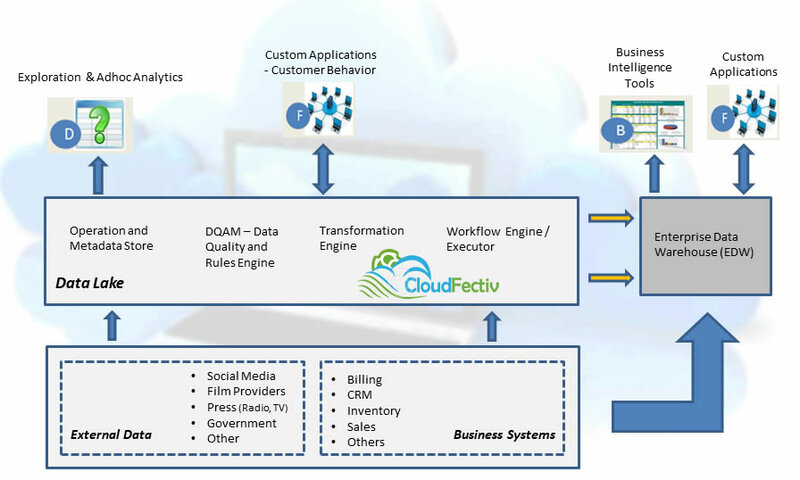 With CloudFectiv Analytics and Business Intelligence (BI) Enablement solution Entertainment and Media Companies are able to provide a simplified, unified, and integrated view of trusted business data in real-time or near real-time as needed by their consuming applications, processes, analytics and or business users. Entertainment and Media companies are constantly striving to understand their customers/subscribers behavior. Understanding customers/subscribers behavior can help them harness more revenue. Given the right data, they will be able to create offerings that are more aligned with their customers/subscribers base. For example specific offerings for specific social media, video streaming or map applications etc. 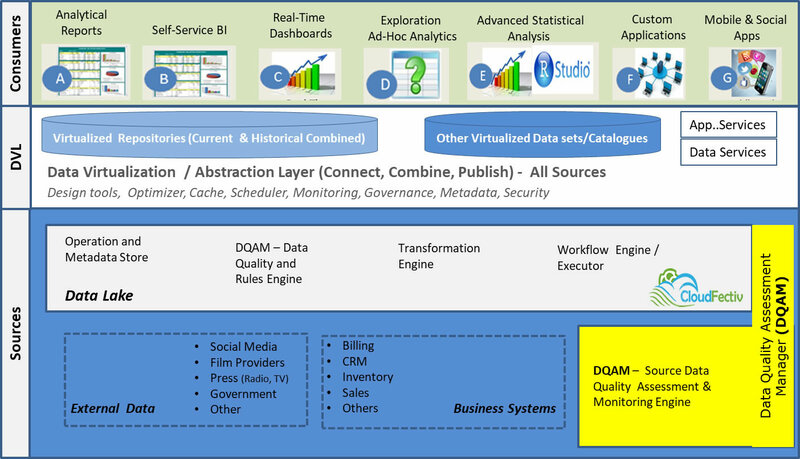 Unfortunately, capturing and aggregating this information involves analyzing many external and internal data sources. 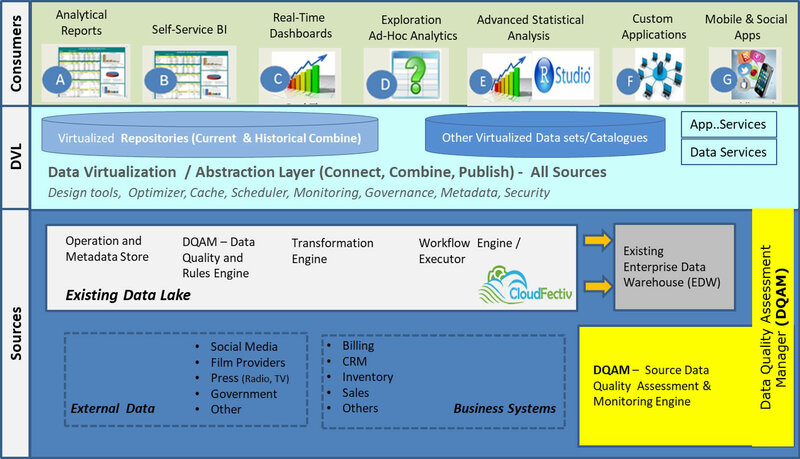 How to cost effectively combine and publish these datasets in near real-time is considered by many to be a very arduous task.